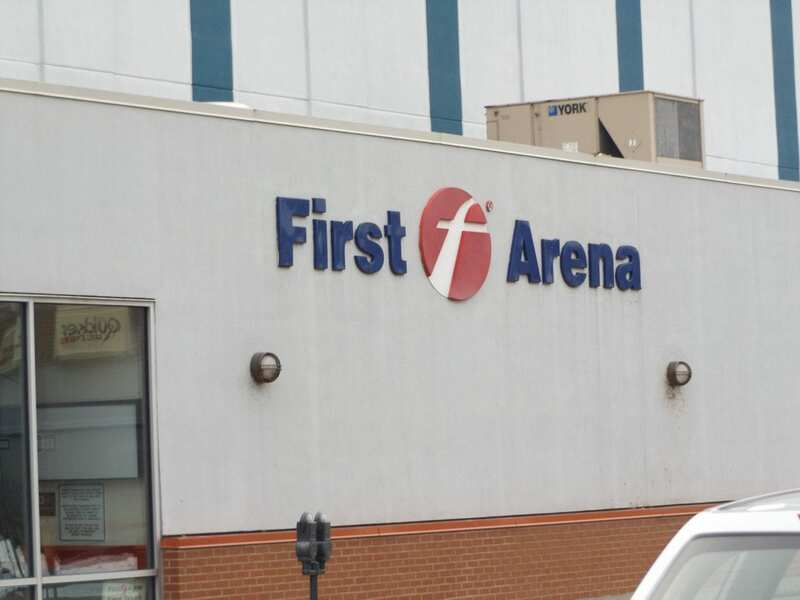 The future of Elmira’s First Arena has been in question for most of 2016, but there could be answers within the next month. First Arena is home of the Elmira Jackals hockey team. Both have been owned by the Chemung County Industrial Development Agency since June. The group hopes to sell both by the end of January. Mike Krusen is the head of Southern Tier Economic Growth, which supports the Chemung County IDA. He said there’s an interested buyer. The identity of that person hasn’t been released. The new owner will inherit an arena that needs significant renovations. Krusen expects those to cost $5 million to $6 million. Krusen said in hindsight, maybe the arena shouldn’t have been built downtown because the City of Elmira is less able to spend money on it. He also said an empty facility doesn’t benefit a city that’s trying to energize its downtown.